Evidence of FDA’s 510(k) Clearance. Admissible or Not? Medical devices, implants and tools are used daily by people and medical personnel all over the country and are intended to improve the overall health and quality of life in patients. 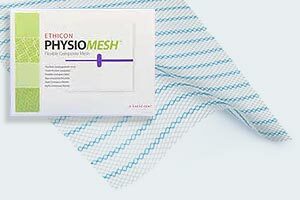 These medical devices are often intended to prevent or protect against certain medical dangers or injuries during the course of performing medical treatment or surgery. However, what happens when the medical device or implant causes an injury to the patient? Such an occurrence will likely result in the pursuit of a product liability lawsuit against the manufacturer by the injured patient. During the course of litigation, the issue of the U.S. Food and Drug Administration’s (FDA) 510(k) clearance process of the subject medical device will likely arise. The FDA’s 510(k) process is one way to introduce new medical devices or implants to the market. In pursuing the 510(k) approval route, the manufacturer will submit an application to the FDA seeking clearance under the 510(k) process. Among other items, the 510(k) application will include a description of the medical product and the intended use of the product. Further, the application will reference other similar products that are on the market being used in a substantially similar manner. While we would like to believe that the FDA is conducting a thorough and complete analysis of each medical product that is on the market, this is not the case. The FDA was never set up in this manner and simply does not have the resources to conduct such an analysis on every product. This type of in-depth, thorough evaluation is reserved for a different class of medical devices and implants, which is known as Pre-Market Approval (PMA). What are IVC filters and when are they used? Intra Vena Cava (“IVC”) filters are small spider-like devices that are implanted in the veins of patients in the hope that the filters will stop blood clots from reaching the patient’s lungs and other vital organs. 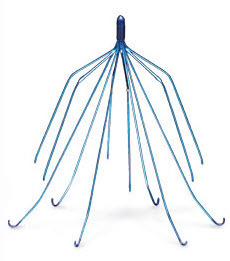 IVC filters are designed to capture blood clots that occasionally break free from the deep veins inside a patient’s body before the blood clots can reach the patient’s lungs and cause a decrease or a complete stoppage of blood flow to the patient’s lungs. However, hundreds of reports from across the nation indicate that the devices may fracture or break after implantation resulting in serious injuries and in some cases death. IVC filters are usually implanted in patients who are at risk for having a sudden blockage of a major blood vessel, known as a pulmonary embolism, and are either unable to take anticoagulants or the patient has taken anticoagulants but they have failed to properly prevent the patient’s blood from clotting. The IVC filters are supposed to be a safe alternative which prevents blood clots from forming in a patient’s blood vessels. However, in April of 2015, the Journal of the American Medical Association published a study comparing the treatment of patients presenting with an acute pulmonary embolism and a high risk of recurrence using a retrievable IVC filter plus anticoagulants versus using anticoagulants alone. The study revealed that “the use of a retrievable inferior vena cava filters plus anticoagulation compared with anticoagulation alone did not reduce the risk of symptomatic recurrent pulmonary embolism at 3 months.” Furthermore, the study suggested that patients with IVC filters may be twice as likely to suffer from a serious, and sometimes fatal, pulmonary embolism than patients who were prescribed anticoagulants alone. Therefore, the study suggests that IVC filters should not be used in cases where patients can be treated with anticoagulation. Zofran: Birth Defects Caused by Anti-Nausea Drug? 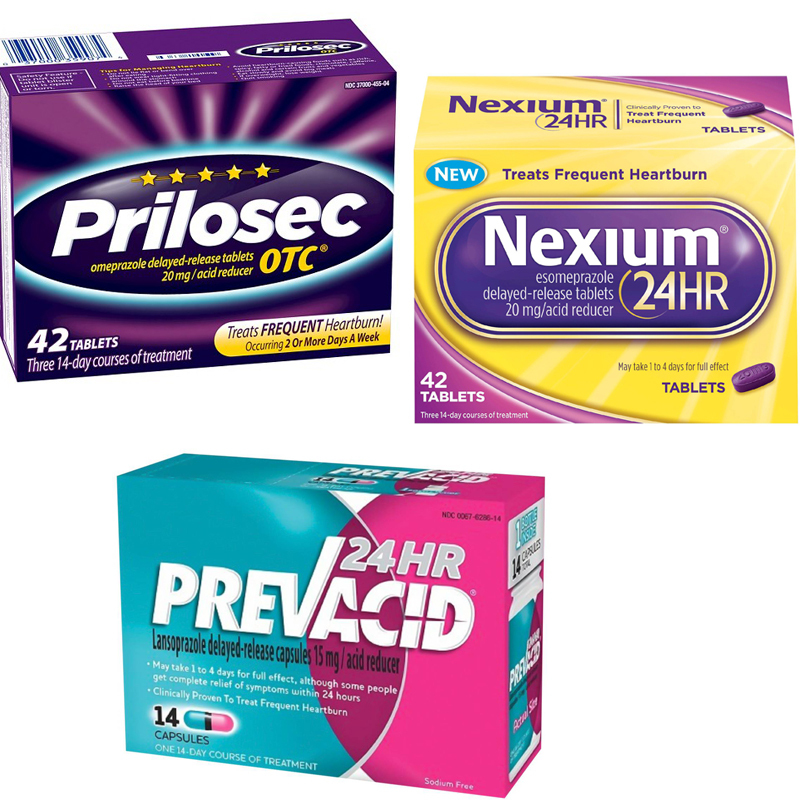 In the past month, at least three new lawsuits have been filed over birth defects parents allege were caused by Zofran, the popular anti-nausea medication prescribed for off-label use during pregnancy by mothers. This case, filed in California Superior Court on March 30, 2015, follows two others: one filed in the Eastern District of Pennsylvania on February 12, and another in the District of Massachusetts on February 16. Each case alleges congenital abnormalities, including heart defects, after the mothers were prescribed Zofran for nausea and vomiting associated with pregnancy…a use not approved by the FDA when the drug was approved for market. The court cases allege, among other things, that the maker of the drug, GlaxoSmithKline, has received more than 200 reports of birth defects in children who were exposed to Zofran during early pregnancy. 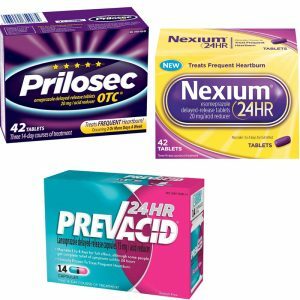 Glaxo is also being accused of improperly marketing Zofran to treat pregnancy-related nausea and vomiting, and one lawsuit even notes that Glaxo previously agreed to pay $3 billion to settle charges with the U.S. Department of Justice regarding the marketing of a number of other medications. This prior settlement with the U.S. government included allegations that Glaxo had improperly marketed Zofran to treat morning sickness…the very same claim now asserted by the plaintiffs. Recent research by scientists with the University of Colorado, Stanford University, and London’s Royal Free Hospital reveled that when taken during pregnancy, Zofran does in fact cross the placenta to reach the developing fetus, and remains longer with the baby than the mother due to a longer half-life (i.e., the elimination rate of the drug in the body). This was not the first study done regarding these issues. A previously published study from the journal Clinical Pharmicokinetics, showed that samples taken from 41 women given Zofran prior to surgical pregnancy termination procedures revealed much higher concentrations of the drug within fetal tissues than was anticipated. Big Pharma has taken it on the chin recently in several trials across the country, with juries awarding millions in damages to individuals who’s health and lives were ruined by defective drugs rushed to market with “reckless indifference” to the health and safety of patients. Amid growing concerns over FDA oversight, and lack of transparency in the testing and studies for new drugs, two juries in the last 30 days in Philadelphia have awarded $2.5 million against Johnson & Johnson for claims associated with use of its long marketed Risperdal medication, while Takeda Pharmaceutical Co. was hit with $2.3 million in damages to a former teacher who developed bladder cancer after using the company’s diabetes drug, Actos. The Takeda award amounted to $300,000 in compensatory damages for the plaintiff’s medical expenses, as well as an additional $2 million for pain and suffering related to his cancer diagnosis. This is the not the first case where Takeda has been accused of, and found liable by a jury, of endangering the health and welfare of potential patients and users of its drugs. On April 7, 2014, Takeda and Eli Lily where hit with a $9 billion jury verdict related to the same drug, Actos, for failure to disclose and warn of the drug’s potential to cause cancer. On appeal, that award was cut to $36.8 million; however, this recent award is the fifth jury award against Takeda related to Actos. Juries in California and Maryland have also awarded a combined $8.2 million against Takeda for its handling of the drugs. Another Philadelphia jury ordered Risperdal drug manufacturer, Johnson & Johnson, to pay $2.5 million to a 20-year old autistic man from Alabama who developed size 46 DD breasts as a young teenager due to his long time prescribed use the drug. This condition, called gynecomastia, was never warned about the manufacturer, who now faces thousands more lawsuits in Philadelphia, California, Missouri, and other locations across the US. Juries aren’t the only problem for J&J related to Risperdal however; in 2013, the company paid $2.2 billion to settle federal and state criminal and civil charges related to illegal marketing of the drug. Gynecomastia is the growth or enlargement of male breast tissue. The psychological and social injuries can be devastating — especially when gynecomastia affects adolescent males. Many doctors recommend surgery to reduce breast tissue. In mild or moderate cases, liposuction may be an effective option. In severe cases, however, a surgical procedure called a mastectomy may be necessary to remove breast tissue and excess skin. On Monday, November 3, 2014, a Kalamazoo, Michigan-based orthopedic device manufacturer, Stryker Orthopedics and Howmedica Osteonics Corp., agreed to pay at least $1.43 billion to settle lawsuits pending around the United States. The lawsuits were filed by thousands of patients who received two (2) different defective hip implants, which were recalled by Styker in 2012 due to corrosion and other various problems. Defective hip litigation has seen several large settlements over the past few years, with John & Johnson agreeing to a $2.5 billion settlement just last year to settle some 8,000 lawsuits from patiets alleging that the company’s metal ball-and-socket hip implant caused them injury or had to be replaced or removed entirely. The Styker settlement will include all pending state and federal claims, and will include plaintiffs from 39 different states. The claims include corrosion which occurred in the patients’ bodies causing illness, as well as removing and replacing the implant with a new device, a procedure known as a revision. According to attorneys who lead the settlement negotiations, “[t]he settlement represents one of the largest medical device settlements with an unlimited compensation fund.” Stryker expects to make most of the payments under the settlement by the end of 2015. The law firm of Hollis Wright is currently representing numerous individuals who have been injured by these Stryker products. Complex litigation against large medical device manufacturers demands specialized legal experience. If you or a loved one believe you have been harmed by a defective medical device or product, contact the firm of Hollis Wright for more information and evaluation.